Princesses want to look beautiful even when they swim. Help to choose a swimwear and enjoy it yourself! Have you ever wanted to be original at the pool? 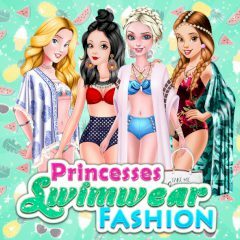 Well, girls are going to rush this place with bright and cool swimwear! Help them to prepare!